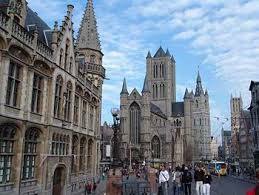 Located in Belgium, Ghent is a city and a municipality in the Flemish region. 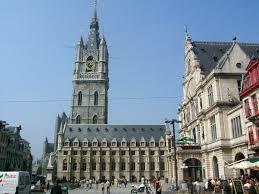 This city is the capital and largest city of the East Flanders province. 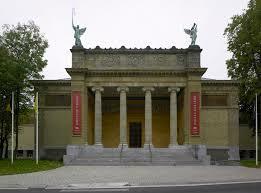 The Museum of Fine Arts was designed like a Greek Temple and dates back to 1903. This is a fine-art gallery featuring great Belgian and Low Countries’ painters from the 14th to mid 20th centuries. The highlights include artwork by Emile Claus, Magritte Luminist and Pieter Breughel the Younger. In each room you’ll find explanation cards in English. St. Pieters was once the country’s biggest abbey and the city of Ghent grew up around it. It has an impressive Baroque front. Visitors enjoy the gardens which have ruins, vines and apple trees. Inside the abbey you can see the muralled roof of the monk’s former refectory. 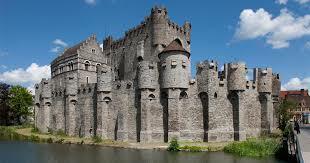 Gravensteen is a 12th century stone castle that was once home to the counts of Flanders. In the 19th century this site was turned into a cotton mill. Inside visitors can see suits of armor, a guillotine and different torture devices. There is a hand-held 45-minute movie guide available which offers a historical costumed drama in the rooms, prison pit and battlements. The Belfort is a UNESCO historical site dating back to the 14th century. 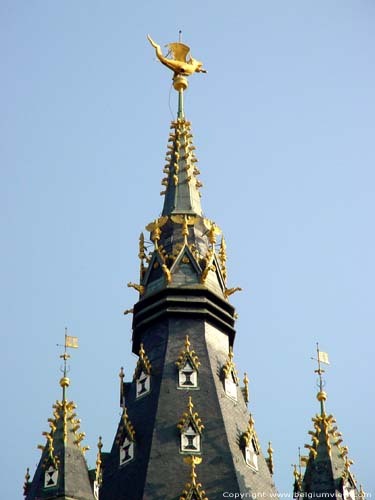 This belfry is topped by a large dragon weather vane. It is 91-meters tall and overlooks the old city center. 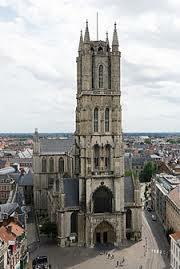 This is the tallest belfry in Belgium. Visitors can take a climb to the top for a spectacular view of the city. The Belfort bells play carillon concerts at 11:30 AM on Fridays and 11 AM on summer Sundays. 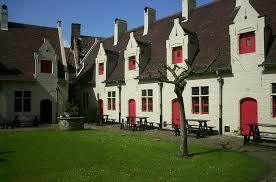 The Huis Van Alijn is a former children’s hospice complex dating from 1363. The museum shows how everyday was lived from the 1890s to the 1970s. Lots of the exhibits here are self-explanatory. There are recreated shop interiors, pictures of wedding fashions, enjoyable 1960s and 70s rooms and a moving collage of family home videos. On Saturdays from September to June there is a traditional Puppet Show. Visitors can relax in the old-world cafe. 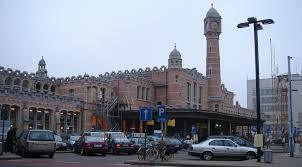 A large square where a Friday market is held is the Vrijdagmarkt. 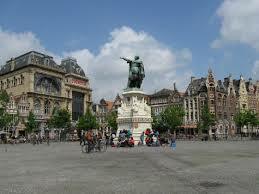 The highlight of the square is a large statue of Jacob van Artevelde, Ghent’s 14th century anti-French leader. There is the impressive 15th century Dulle Griet, a 5m-long red cannon with a 660 mm bore and 250 kg cannon balls. 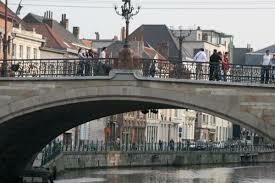 Visitors can get a most wonderful view of the city from the Grasbrug Bridge. From here you can see medieval warehouses and townhouses. You can hop a boat here to take a trip on the canal. Another place to get a boat is by the Vleeshuisbrug Bridge. The canal boats depart several times hourly. The trip on the canal takes 40 minutes. Charles V was baptized at the St. Bavo Cathedral. The only thing that remains of the original Romanesque church is the crypt. Inside the cathedral you can see many impressive artworks like the Baroque high-altar in white, black and red flamed marble, the Rococo pulpit in oak, gilded wood and marble and many others. One artwork which is most admired by visitors is the world famous Adoration of the Mystic Lamb by Jan van Eyck painted about 1432. 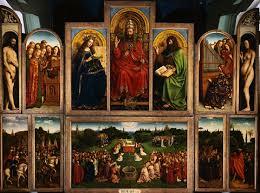 This unusual altarpiece is the highlight of the Flemish Primitives. It is one of the earliest-known oil paintings and has twenty panels. This artwork represents an allegorical glorification of Christ’s death – on the upper tier is God the Father with the Virgin and John the Baptist and on the outer panels are Adam and Eve. The lower tier centers on the lamb which symbolizes the sacrifice made by Christ, surrounded by different religious figures and a landscape with local church towers. At present the cathedral is undergoing major restoration. The World of Kina is a wonderful museum for children with a fossil of a pre-historic reptile, a wonderful diorama room with native birds and a replica model of Ghent the way it looked 450 years ago. This natural history museum is great for school children. Here they can see Pterygotus – a man-sized prehistoric lobster and walk through a human body with a pounding heart. When children press buttons they can hear how the stuffed birds sing. Outside is a marvelous garden with over 1000 plant species, a bee colony and live tarantulas. The third King of Belgium has a park in his name in the city, the Koning Albert I Park. The residents call this park Zuidpark. 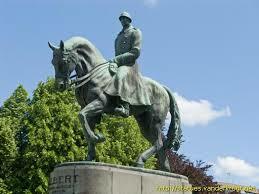 In the center of the park is a large statue of King Albert I on his horse. At the base of the statue is a bronze crown gifted by WW I veterans. Once again, I am astonished at how much has survived two World wars and post-war planners. Both have blighted the UK, particularly in the area where I live, but Ghent seems largely unscathed…? Ray it also amazes me. When I finally get to writing about Germany I am going to make sure I include all the cities where my parents traveled through during the war and the DP Camps. Now I know they said and wrote that most everything was under ruins so this will be very interesting for me to see how these cities have bounced back.